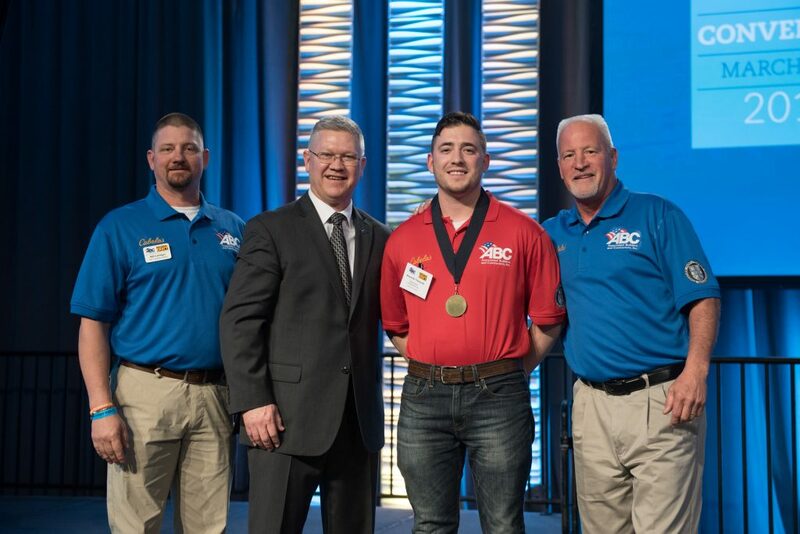 Alex Tomassetti wins Bronze at Associated Builders and Contractors National Craft Competition - Benchmark Construction Company, Inc.
Alex Tomassetti, an apprentice carpenter, won a bronze medal, in the carpentry competition at the Associated Builders and Contractors (ABC) National Craft Championships. The event was held in Long Beach, CA and featured a national competition for ABC apprentices in carpentry and 10 other trades. The competition, which featured 170+ competitors, took place over two days: Wednesday, March 21 and Thursday, March 22, 2018. Upon successful completion of the apprenticeship program at ABC Keystone, Alex will be awarded with his Bureau of Apprenticeship Training certificates and will be recognized as a journeymen carpenters.